Independence/Memorial Day, Military Homecoming, Patriotic, Freedom. 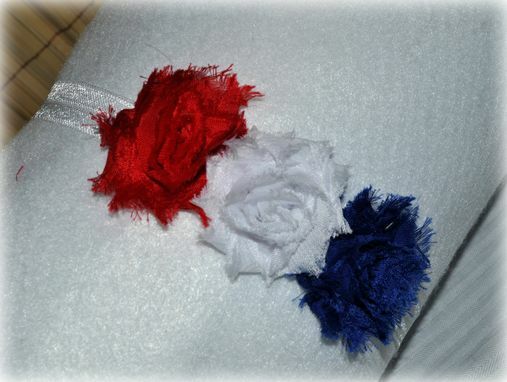 Baby shabby flower headband. Newborn up to child. FREE USA shipping. 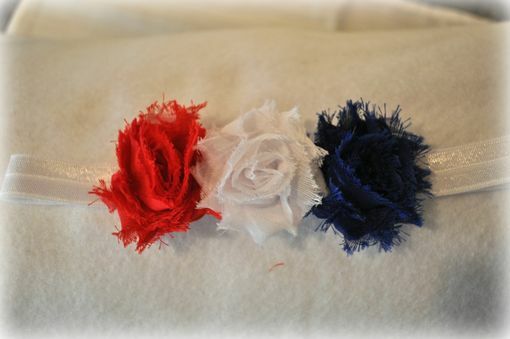 Adorable headband for your precious little one :) Perfect for you Independence Day celebrations, for Memorial day, or that very special military homecoming. Whatever you choose, make the day special with this simple accessory. Don't forget to chose the style desired using the drop down selection box before adding item to cart. This tells me which headband you want. If you want more than 1, there is $1 discount per additional headband. Please contact me for personal listing for more than one item.